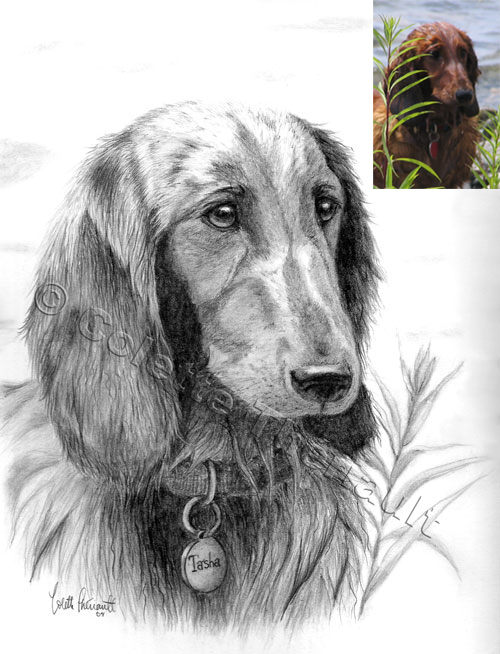 Custom pet portrait commissioned by Dr. Tammy Eger as a Christmas gift for her partner. Thanks for doing such a great job on Tasha's picture. Everyone who sees it thinks it is great! I would like to get one of Turbo also. Please let me know when you have time.